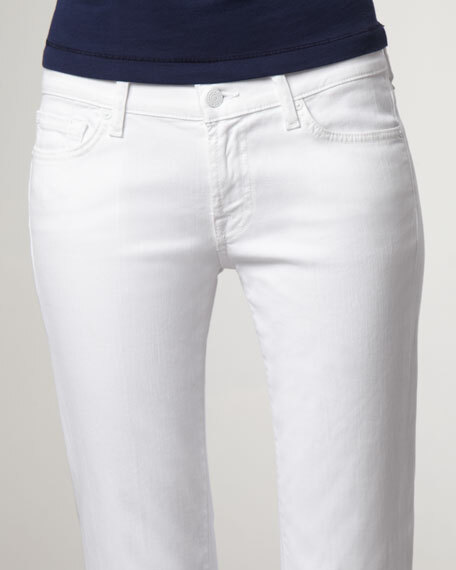 The 7 For All Mankind Boot-cut jeans are a perennial fashion favoriteand must-have for any denim devotee. This latest edition arrives in clean white with tone-on-tone stitching and stonewashed silver hardwareperfect for Resort. Original Boot-Cut in clean white stretch 10-oz. denim, featuring great stretch and recovery. 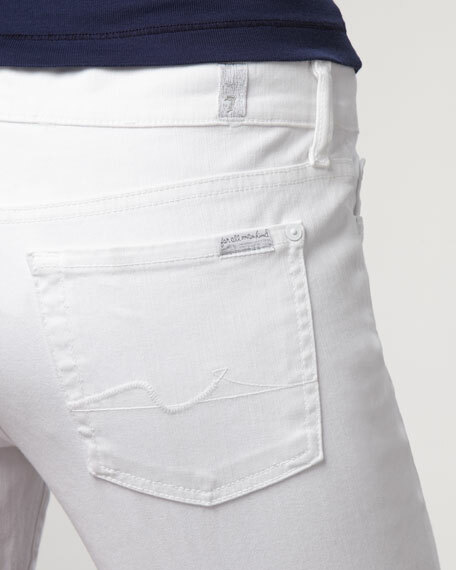 Five-pocket style; 7 For All Mankind signature squiggle stitching on back pockets. Low rise sits at hip; approximately 7 1/2". Fitted through hip, breaks into boot-cut below knee to balance figure. Approx. 18 1/2" leg opening.